Does anyone not know where Platform 9 3/4 is? If you answer London, King’s Cross Station you are wrong. Platform 9 3/4 was created in the mind of JK Rowling and exists only in her works of fiction. Yes, in her novels Platform 9 3/4 can be accessed by stepping through the barrier between Platforms 9 and 10 in London’s King’s Cross Station but it doesn’t really exist outside of movie sets or a theme park. Likewise Cotharach, Loch Craos, Duncurra and all of the other locations described in Highland Solution were created in my imagination and I placed them in the midst of medieval Scotland. Don’t go looking for them on a map, you won’t find them. I created the location names from Scottish Gaelic and they have meanings. For example, Loch Craos, the fictional lake on which Duncurra is situated, is a long narrow lake running north to south. It is narrowest at its southern tip and then widens significantly on the northern end where the crag on which Duncurra sits, juts into it. In my imagination, it is shaped like a snake, with it’s mouth open around the crag. The Gaelic word craos means an animal’s mouth or maw. Emma helped Katherine dress in a fresh white linen kirtle under her best deep blue linen gown, the neck, cuffs, and sleeves of which Katherine had embroidered with delicate, pale blue, forget-me-nots like those growing near the loch by which Cotharach stood. Duncurra is an amalgamation of the word dun, meaning fort, and cùra meaning protector. Because the characters and places that I created are purely fictional, I was a bit disappointed to recognize a small bit of Eilean Donan Castle in the background of my cover. Of course the lovely man in the foreground renders the background nearly invisible! Still, it is not the keep that I envisioned. The picture below is a bit more what I imagined Duncurra keep to look like, with its two towers. 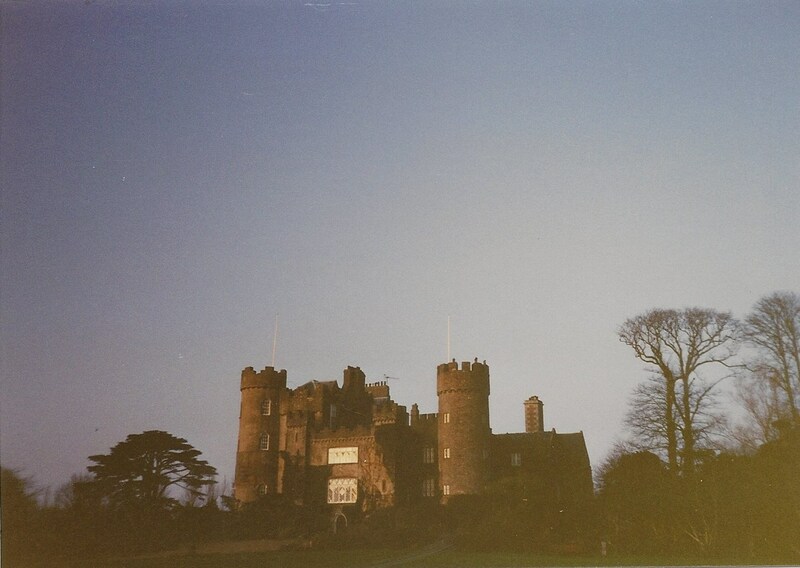 It is actually Malahide Castle in Ireland, parts of which date to the 12th century. 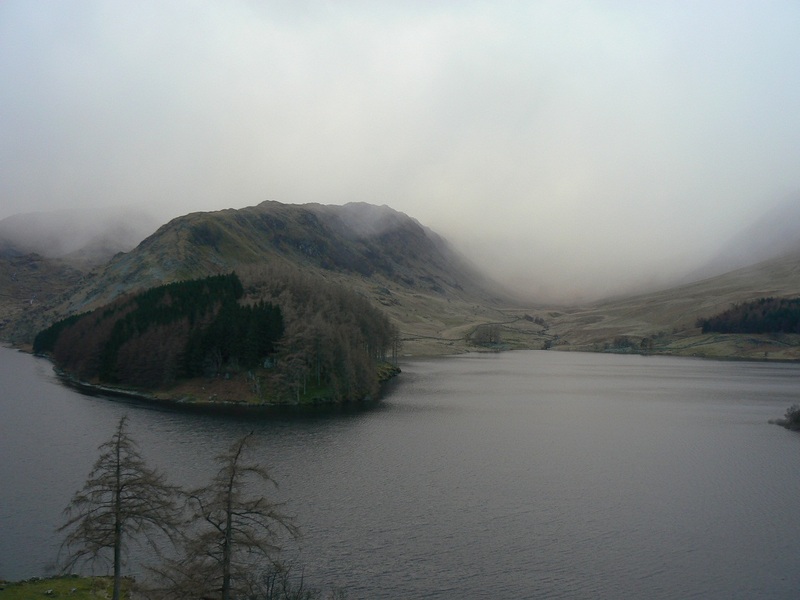 I pictured it located on the point of crag, perhaps a bit like Riggindale Crag in this photo. Ah well, in some ways I think the best thing about reading is developing one’s own image of the places and characters. I hope you have enjoyed this brief tour of my imagination!